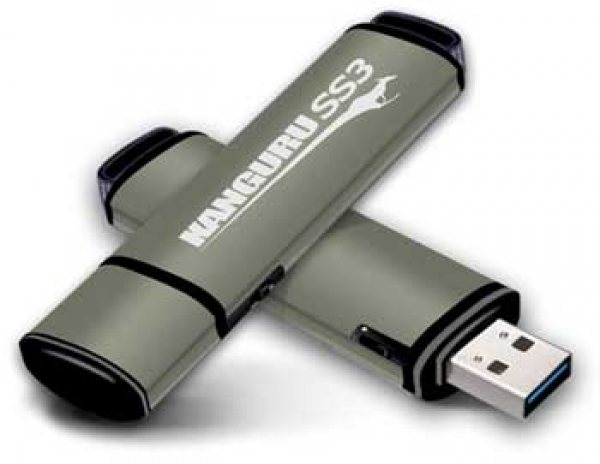 The Kanguru SS3 is a SuperSpeed USB3.0 flash drive with a convenient, physical write-protect switch. It features super-fast USB3.0 speeds while maintaining compatibility with USB2.0 so you can use it on virtually any computer. Its small, durable aluminum design is compact and light-weight, and provides lightning-fast transfer rates that make it the perfect solution for those in a hurry who want the convenience of carrying data files from place to place.